Sides should be quick and easy additions to any meal! I will admit that sometimes when I am cooking dinner I focus so much on the main dish that I completely forget about a side. When this happens I am always grateful for recipes like this! Less than 5 ingredients and about 10 minutes to make- now that saves major time in the kitchen! 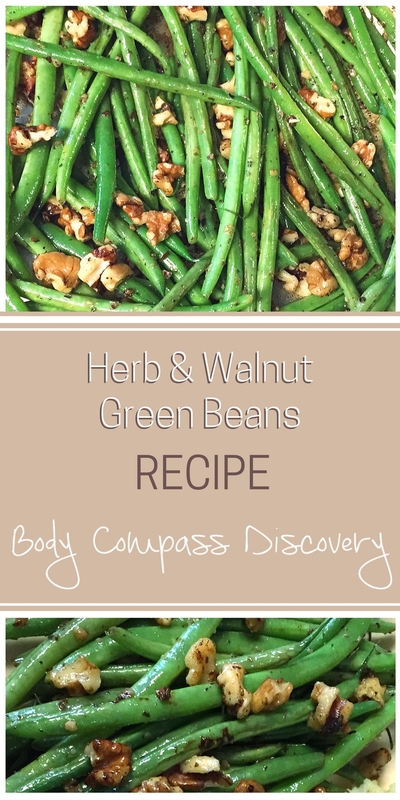 Green beans go well with almost anything, so you might as well have a staple recipe for them! 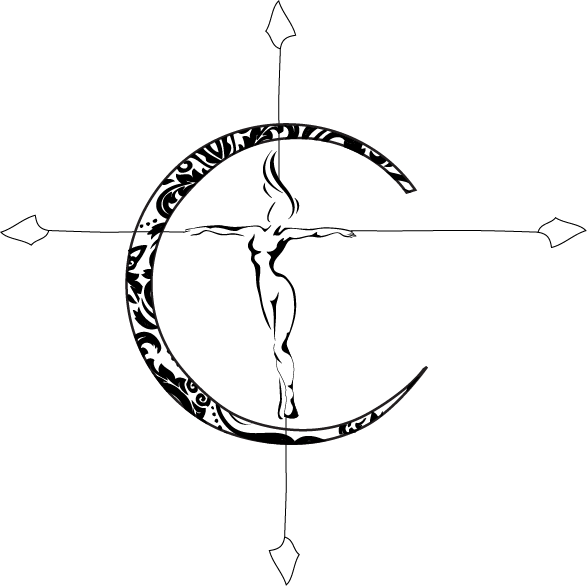 This is mine, so I figured why not share it with others? It’s always a win with any meal. I do this both with regular and French green beans, although I prefer the latter. 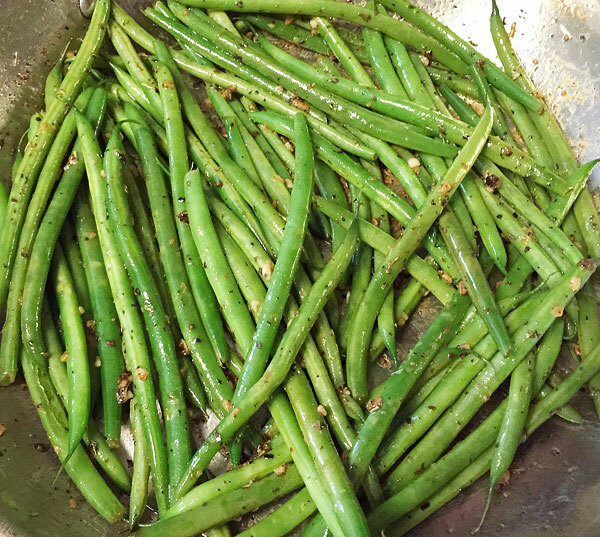 Sauté the green beans with some olive oil, garlic and the seasonings on medium-high heat for about 6-8 minutes. You can use thyme, marjoram or rosemary if you want a single herb. I often choose Herbs De Provence because it’s such a great combination of herbs for powerful flavor! Add in the walnuts and stir, cooking for a few more minutes. 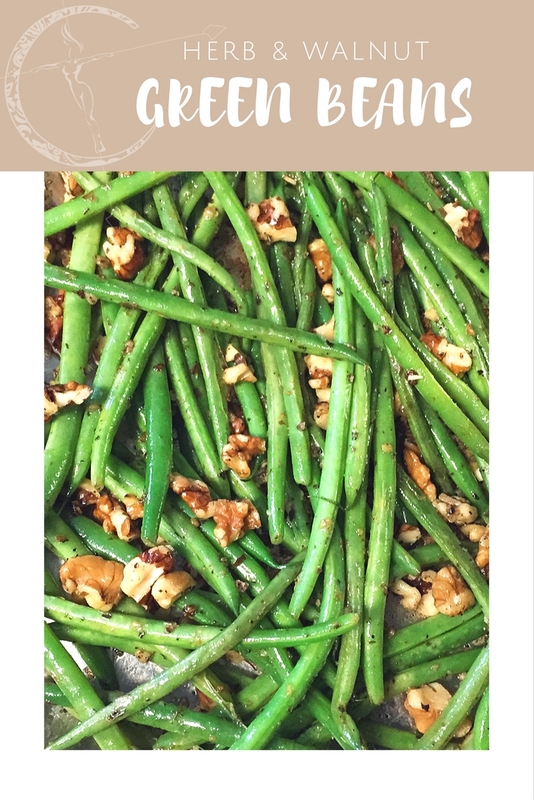 I choose to cook the green beans uncovered because I personally like mine crunchy! Serve up and enjoy the simplicity of health! Sauté with some olive oil, garlic and seasonings on medium-high heat for about 7 minutes. Add in the walnuts and cook for another 3 minutes. When the green beans have reached the desired tenderness remove and serve warm! 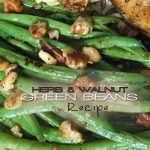 I prefer to use french green beans, so this can be done with either. 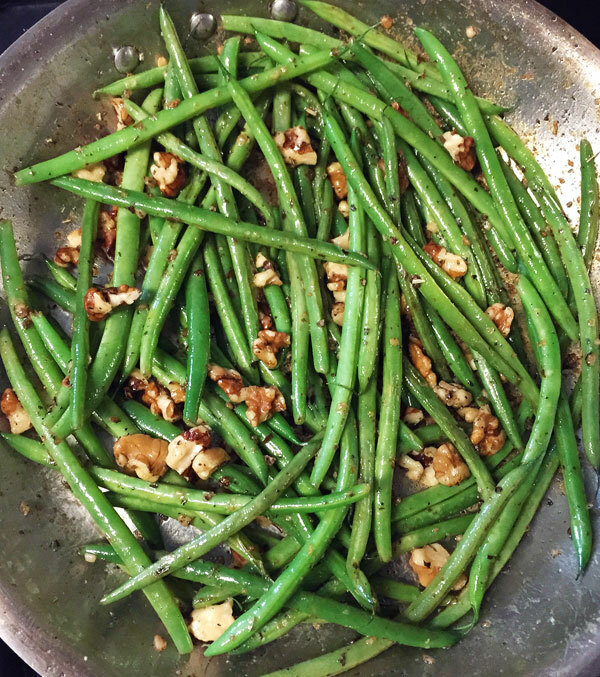 These green beans are deliciously easy! Once you make them I guarantee you will add them to your meals again and again. For another recipe similar to this you can check out my french beans and rainbow carrots sauté too. This recipe is gluten free, vegan, vegetarian, low carb, Paleo and Whole30 approved! When making this as part of a meal prep it counts for 2 servings. Each of those servings consists of 1 green container, 1/4 blue container and 1 tsp.